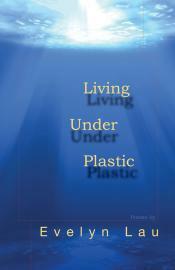 Living Under Plastic represents a major departure from the author’s previous poetry books. Instead of the obsessive focus on relationships and emotional damage that has characterized much of her earlier work, this book opens up to explore new subjects: family history, illness, death and dying, consumerism, and the natural world. In a tone that is often elegiac, without ever being maudlin, these poems are steeped in immortality and loss. Haunted by the pull of the past, there is strength of character and a sense of affirmation in all of these poems. While grounded in travel and in place, the tone is surprisingly meditative and contemplative. Read the latest news and reviews of Oolichan titles. © 2000 - 2018 All Rights Reserved.